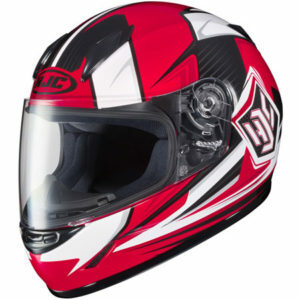 8 Best place to buy an HJC crash helmet? 12 Looking to buy an HJC? The HJC CL-Y has been designed specially for people with smaller heads. Which means it’s ideal for children or ladies with smaller heads. 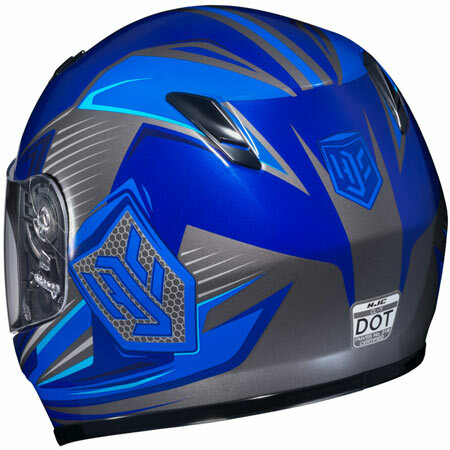 It’s a lightweight polycarbonate helmet that’s available in kids Small Medium and Large sizes (see more about fitment in the comfort and sizing section below). Other than that, it’s a fully-functional full face helmet. And while it’s a reasonably basic helmet, without some of the bells and whistles you get on helmets costing three times the price, that’s reflected in the CL-Ys low price. 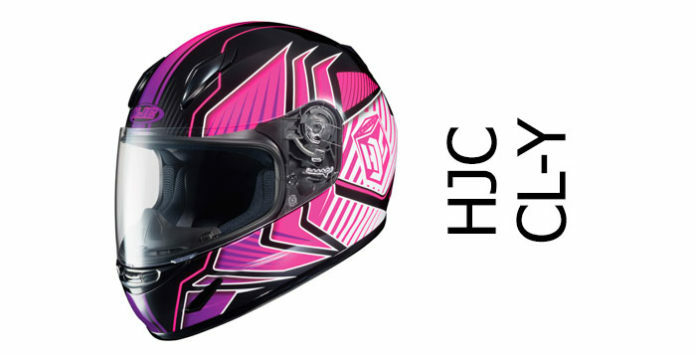 The HJC CL-Y is of course ECE 22/05 certified in Europe and DOT certified in the US which means, like any other helmet legally on sale, it’ll offer a decent minimum level of protection. HJC hasn’t released many details about the helmet construction of the CLY, other than saying it’s an advanced polycarbonate construction. 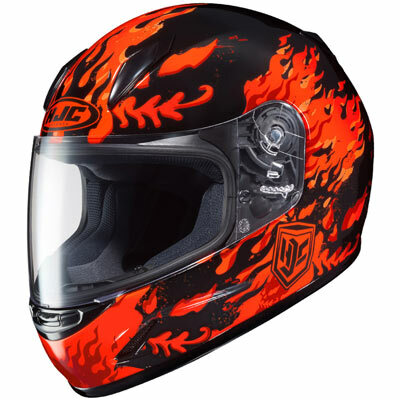 But looking at the features, HJC has designed it with a wide visor port for good peripheral vision, and it’s got multi-density shock absorbing lining which is similar to that found in a wide range of helmets, including some of the best performing. A few owners also said because the shell size of the CL-Y is nice and compact, it feels very light weight when wearing it. That’s great for safety too as the lighter the helmet, the smaller the inertial forces acting on the head and neck during an accident. Other than taking a look over what safety features a helmet offers, we usually look at a helmet’s SHARP rating. Unfortunately, the HJC CL-Y hasn’t been tested by SHARP yet. And if we look at all the polycarbonate full face HJC helmets tested by SHARP to date, their scores are very much a mixed bag. For example, the most recently tested HJC polycarbonate helmet, the HJC IS-17, scored full marks with five stars; though the one before that, the HJC TR-1 scored a lowly two stars out of five. Of all the helmet brands that SHARP has tested so far, HJC currently lies in 13th position with an average score of 3.1 stars out of 5. Helmet noise levels are very subjective (click the link above to find why). 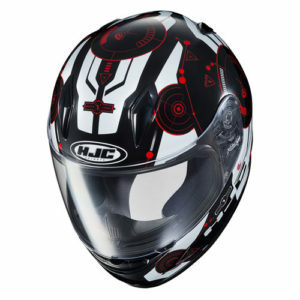 But the HJC CL-Y does have some features you’d normally associate with keeping noise to a minimum in a full face helmet. That includes a large neck roll and chin curtain to stop noise entering from below. And there’s a range of swappable internals to keep things nice and tight and well padded inside the helmet (read more in the comfort section below). 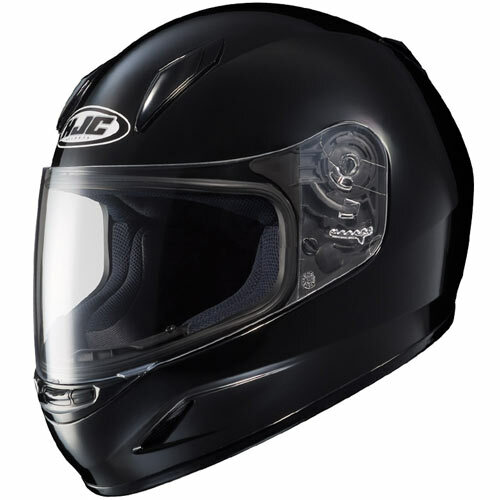 But from the opinions we’ve been able to find online, owners of the HJC CL-Y seem find it about average for helmet noise – with some finding it reasonably quiet and others a bit noisy (especially with noise entering from below). The HJC CL-Y has a single chin vent and a pair of forehead vents on the front of the helmet. They’re matched to a couple of always-open rear exhaust vents at the rear. The chin vent is closeable with a central switch and this vent directs air onto the back of the visor to help with de-misting. To help ventilation out in the chin area, there’s also a couple of always-open vents on each side of the chin guard. The forehead vents are covered by sliders and allow air into the main part of the helmet, with air venting in through the shell and into channels in the shock absorbing lining. Stale air is then vented out of the back through the rear exhaust vents. The word from owners is that venting into the main part of the helmet is good, though it’s a shame that the visor isn’t at least Pinlock-ready because some say it can fog up pretty easily. However, those forehead vents do pull in a decent amount of air, so you shouldn’t get too sweaty during normal riding. Apart from the lack of a Pinlock anti-fog, the visor on the CLY does everything you could reasonably hope for from a basic helmet. It works on a ratchet, allowing you to open the visor in four different positions. It also has a quick-release visor mechanism, called QuickSlide by HJC. It’s easy to use too – open the visor, push the lever and out pops the visor. And finally, it has fairly wide eye-port giving decent peripheral vision – something that’s well worth having as a safety feature. The inside of the HJC CL-Y is decent quality. It’s fully removable and washable – just pull out the cheek guards to release the poppers and out it comes. 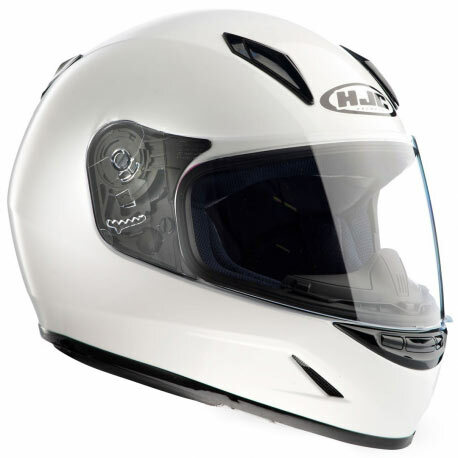 And if you find the helmet doesn’t quite fit exactly right, there are replacement liners and cheek pads available from HJC to fine-tune the fit. Overall though, owners say their HJC CL-Ys feel both really light and very comfortable. Sizing should be about right as well – though we’ve found a slight sizing difference between US and EU models – at least on the HJC websites. All in all, assuming you follow a helmet fitting guide and buy the correct helmet size, you shouldn’t have any problems with comfort in the HJC CL-Y. 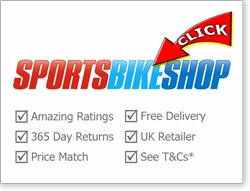 You’ll find all the latest helmet designs by clicking the links through to our recommended helmet retailers below: though we’ve put some of the most popular designs at the time of writing up and down this page. If you’re after something plain, there’s a plain solid gloss black and white available, and for most of the designs you’ll find on this page, HJC offer a variety of colour choices. 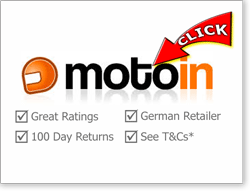 So, if there’s anything you fancy but want it in a different colour – or just want to find the latest deals from a bunch of reputable retailers, please click our links below. Here’s a 4m video taking you around an HJC CL-Y (Tableau graphics). The CL-Y comes with a micrometric fastener. It’s designed with internal speaker pockets to fit your bluetooth speakers. And while we’ve no word on exactly how good or deep they are, one owner said the helmet worked just fine to fit their Sena SMH10. The CL-Y is a compact helmet that’s nice and light weight according to owners – and it’s got an internal glasses groove in the lining so should accommodate your glasses stems no problem. As for build quality: it’s a relatively low price helmet so that’s gotta be taken into account when assessing build quality. Having said that, many owners are very happy with the quality of the CL-Y. A few have reported that the breath guard is very fragile and breaks quickly. But otherwise, the say the materials, fit and finish is excellent and it fells very good quality throughout. And finally, the HJC CL-Y comes with a 3 year manufacturer’s warranty. If you need to buy a helmet for a child – or if you’re someone with a smaller than average head – then a helmet like the HJC CL-Y might be just the ticket. It’s a relatively basic helmet – there’s no Pinlock anti-fog or drop down sun visor for example. But that means it comes at a relatively low price too. And it’ll do most of what you need from a helmet – with decent ventilation and a comfortable interior, not to mention an easy to use quick-release visor system too. It hasn’t been safety tested by any third party safety testing bodies (such as SHARP or Snell), but it is ECE tested/certified. And, importantly, there a decent range of lady- and child-friendly designs and colour schemes. Well, we all want our helmets to look great, don’t we?! 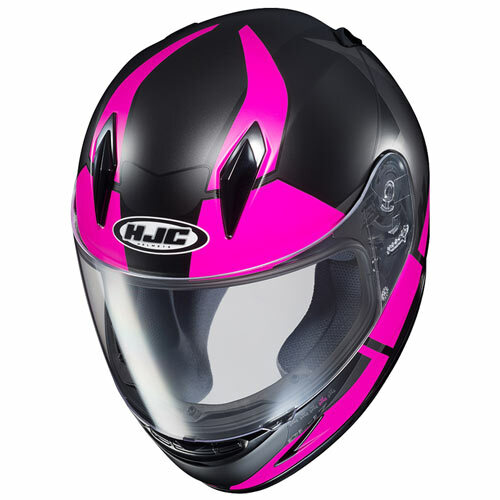 So all in all, whether you’re after a helmet for your little-un or you’re struggling to find a helmet to fit your under-sized bonce, the HJC CL-Y is worth checking out. The HJC CL-Y is designed for children and ladies with smaller heads. It's a pretty basic full face polycarbonate helmet, but what it does offer, it does well. 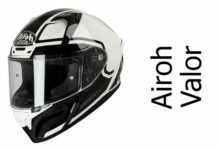 It's comfortable, with good ventilation, has a decent visor mechanism: and owners like their CL-Y helmets - especially at this price point. So if you're after an undersized helmet, then the CL-Y is well worth checking out.